Finance minister Piyush Goyal presented the interim budget today. Homoeopathic Pharmacopia Laboratory – Ghazibad – To lay down standards of identify and purity of Homeopathic drugs and finding out indigenous substitutes for foreign drugs. Assistance to accredited AYUSH Centres of Excellence in Non Governmental/ Private Sector engaged in AYUSH education/drug Development and Research/ Clinical Research/ Folk Medicine etc:..To support creative and innovative proposals for upgrading both functions and facilities of reputed AYUSH institution to the levels of excellence. 7AYUSH and Public Health:..To support innovative proposals of Govt. and private organization to promote AYUSH interventions for the community health care and to encourage utilization of AYUSH practitioners in public health programmes. Central Drug Controller for AYUSH:..To create vertical structure of AYUSH in Central Drug Standard Control Organization (CDSCO). Development of Common Facilities for AYUSH Industry Clusters:..This scheme has been decided to be closed. A small provision made to meet the committed liability. Homeopathic Pharmacopoeia Committee:..To coordinate the administration and financial matters of Homoeopathic Pharmacopoeia Laboratory, Ghaziabad, Pharmacopoeial Laboratory of Indian Medicine, Ghaziabad, and Pharmacopoeia Commitee of ASU and strengthening of Pharmazopoeia Commission of Indian Medicine (PCIM). Information, Education and Communication:..To create awareness among the members of the community about the efficacy of the AYUSH Systems through various media channels including the production of audio-visual educational material to achieve the objective of Health for ALL. The provision also include for promotion of International Day of Yoga. Promotion of International Cooperation:..To promote global acceptance of AYUSH Systems of Medicine, to facilitate International promotion, development and recognition of Ayurveda, Yoga, Naturopathy, Unani, Siddha, Sowa-Rigpa and Homoeopathy; To promote awareness about AYUSH strength & utility in emerging health problems; To foster interaction of stakeholders and market development of AYUSH at international level and to establish AYUSH Academic Chairs in foreign countries. Pharmacovigilance Initiative for ASU Drugs:..To develop institutional mechanism for Safety monitoring and post market surveillance of Ayurveda, Siddha, Unani and Homoeopathy drugs in the interest of public health. Re-oreintation Training Programme of AYUSH Personnel/Continuing Medical Education (ROTP/CME):..To upgrade the professional competence & skills of the AYUSH personnel. Extra Mural Research Projects through Research Institutes etc. :..To support Research and Development in Extra Mural mode for treatment of prioritized diseases, to standardize/validate and develop scientific evidence for safety, efficacy and quality of AYUSH drugs & therapies and to make scientific exploration of AYUSH system with interdisciplinary approaches. Central Council of Homeopathy, New Delhi:..Maintenance of Central Register of Homoeopathy, Direct Registration and Recommendations for inclusion of qualification in Second Schedule Recommendation for recognition of new Colleges, increase of seats & new/higher courses in terms of Section 12A of HCC Act. 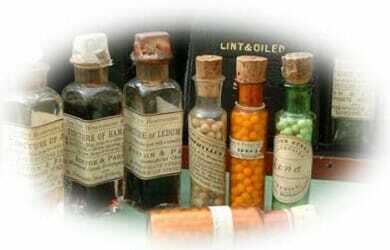 Central Council for Research in Homeopathy:..To undertake scientific research of Homoeopathic system of medicine. The core research areas comprise of Medicinal Plant Research (Medico ethno botanical Survey, Pharmacognosy Pharmacological Research), Drug Standardization. Drug providing Clinical Research, Clinical Literacy Research, basic Fundamental Research and Documentation. National Institute of Homoeopathy Kolkatta:..To conduct UG/PG courses Rendering patient care in OPD & IPD.